Finding the right sleep temperature that everyone will agree on can be difficult because some like it hot and some like it cool. This bed temperature controller uses advanced technology that sends a gentle and quiet stream of air directly into the bed for a powerful cooling and warming comfort. 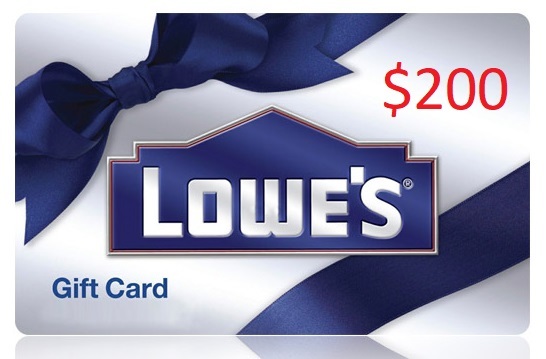 Dear fans, we are pleased to announce our largest giveaway yet for a $200 Lowe’s hardware gift card like this: http://amzn.to/2ujAgVO. If you want us to do more giveways and for larger prizes, please consider supporting us by using our amazon links (such as the one above) when shopping on Amazon. It does not matter what you buy, we still get a small kickback from Amazon at no cost to you – which in turn goes back toward our giveaway fund. To sign up for this giveaway, simply follow the link below and subscribe to our Twitter account. Also, please consider to subscribe to our Youtube, Facebook, and mailing list. Thank you and good luck!